With civilization, the scarcity of raw materials and resources are increasing day by day. For this, the things that are being blamed are – increased emissions, pollution, and water depletion. And the thing that is even scarier is maintaining the ecological balance. In fact it has become a great challenge nowadays. Thanks to the latest technology with the help of which, we can now think about improving the condition of agriculture. Although agriculture and mobile applications are not connected directly, there are several pieces of evidence that suggest mobile applications not only maintain the ecological balance but also boost the financial value of both large farming industries and agriculture-based companies. The applications, used in the agriculture chains in developed and developing countries, have improved agriculture technology by introducing a number of innovative services. In the case of developed countries, mechanisation is more advanced than the agriculture labour force. Mobile applications technologies can be implemented here to improve the value chain. When it comes to developing countries, a great number of people are already employed in the farming industry and mobile technology is more commonly used in these countries. 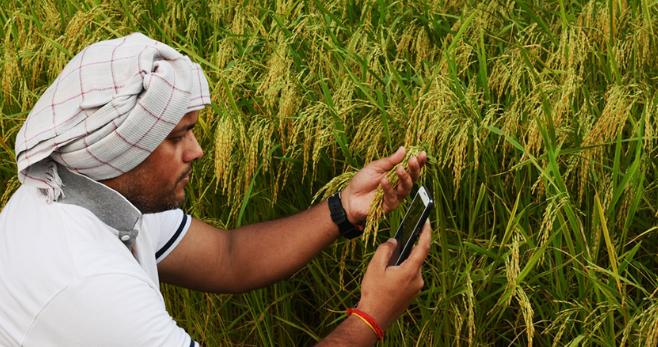 With the help of mobile apps and technologies, it has become easier to spread agriculture-related information to the farmers to all the countries irrespective of developed, developing or poor. This helps the farmers to make better land management decisions. They can monitor the soil condition and predict the weather to make a better plan for planting and harvesting. Also, the farmers can prevent the pests’ problem with the help of agriculture technology. With the help mobile and cloud computing technologies, they get help in optimising the use of seeds, fertilisers, and water for better harvesting. – The mobile applications include text message services, helplines, and notifications that provide authentic information to the farmers about accessing markets, weather forecast and the right way of harvesting. – The developers of agriculture technology mobile applications ensure that the application is providing the right information and making the farmers more knowledgeable about their field. They help them to achieve a stronger negotiation position when taking goods to the market. – Agriculture plays a crucial role in the economy of a country. Therefore, the start-ups and the tech-companies in India have teamed up with the government to develop mobile apps to help the farmers. This enables them to receive accurate data regarding the crops insurance, prices of agriculture commodities in the different markets across the country. – There are agricultural experts who help the farmers with the right guidance through different mobile applications. To learn more about how mobile applications help agriculture or to develop a mobile app for the farming industry from the best developers, you can contact us. Digital Aptech has the potential to bring the best solution for you.